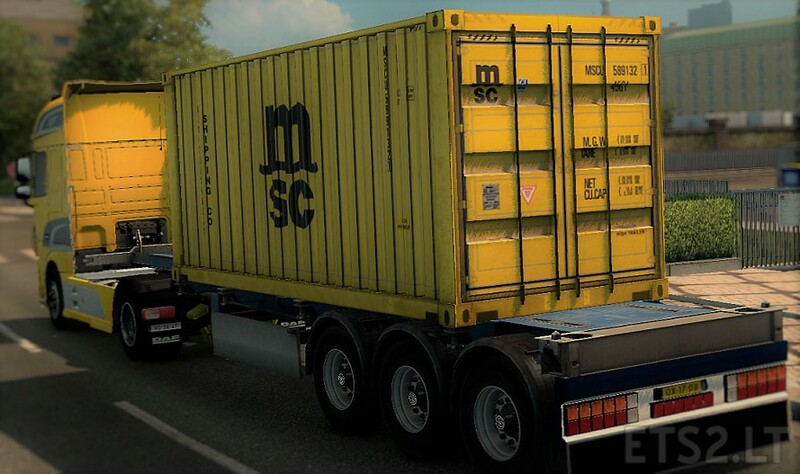 This mod includes an trailer for containers transport, with a MSC – Mediterranean Shipping Company skin. The trailer is in AI Traffic, and it’s s Standalone. Does it works also with ATS?